Sometimes it is difficult to find affordable retirement communities. Many times, the monthly fees are so expensive that it makes it difficult to afford day to day items. Also, there are some Florida retirement communities that do not allow you freedom to do as you wish or offer very little for the money you pay. At Vienna Square, we believe that you should enjoy retirement in comfort and with the freedom you desire. That is why we offer a variety of activities and services, the ability to own your home and affordable monthly fees. We offer you value and community. 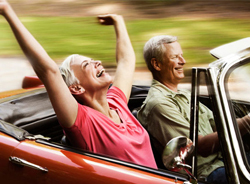 When it comes to affordable retirement communities, we offer the best value. 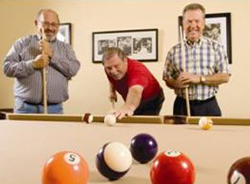 We have reasonable monthly fees and unlimited access to our 7,000 square foot clubhouse. You can enjoy any and all the events and activities we offer such as our St. Patty’s Day Party, Horseshoes, ladies’ coffee and mens’ lunch. You can also enjoy at your leisure our heated swimming pool, tennis courts and Billiards and our grand ballroom is available to host your own private events as well. Our community is safe and secure with a security gate and personal remote access. This gives you peace of mind as you enjoy your retirement. You can be sure that the gate and the common areas are all well maintained as part of your monthly fee. We do offer other services for an additional fee like weekly housekeeping and laundry service. Even our additional services are kept at affordable prices. 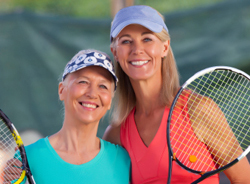 We feel that Florida retirement communities should offer you all the things you want while you are active and need as you age. That is why we offer so much for so little and we continue to be one of the most well liked and affordable retirement communities in Florida. You can enjoy the freedom to travel as you wish, visit with family and friends and partake in any or all of the activities we offer. You also have the opportunity to own your home and customize either your single family home or maintenance free villa to fit your personality. Vienna Square is a vibrant, active adult community and we believe that people want to connect and enjoy their years of healthy, active living. With our maintenance free options we make Vienna Square, by award winning Century Residential, one of the most affordable retirement communities you will consider when planning for your retirement years. Please contact us to learn more about Vienna Square and all we have to offer for today’s active adult. We offer you upscale, safe and affordable living for your retirement years with freedom and comfort. 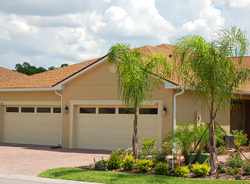 Consider us as your only choice for affordable retirement communities.